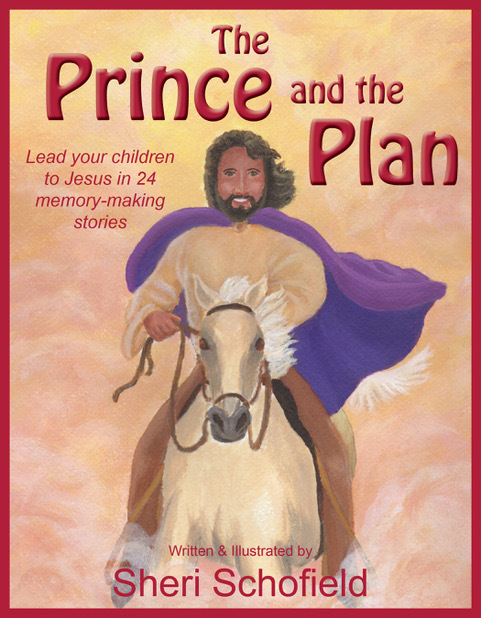 Written by a skilled veteran in children's ministry, The Prince and the Plan is a beautifully illustrated, interactive picture book written for children ages 4-8 that helps parents lead their children into a lasting, saving relationship with Jesus. It explains abstract concepts through words and interactive, multisensory activities so that young children can understand and respond to the plan of salvation. Successfully classroom tested for several years, this material shares the author's secrets to reaching children's hearts for Christ. Parents can now simply read the book, do the activities with their own children, and watch how they fall in love with Jesus and respond to his Rescue Plan. Even adults have come to understand salvation more clearly through these teachings. This book can be used both in the home and in children's ministry classes. It contains a study guide for those who wish to use it in Sunday school or children's church classrooms. The 24 lessons make it a perfect fit for the January through May weekly teaching period. Here's some examples of the art that I created for The Prince and the Plan. While in the Philippines, Lissa McCloud must find a way to save her husband, David McCloud, a military physician, who is facing severe retaliation. His commander tried to coerce David into illegal activities, but David, true to Jesus, refused. Now the commander is out to destroy David and his testimony of these activities. With David's life on the line, Lissa takes the battle to the Pentagon, Congress, National Security and the President of the United States. When that doesn't work, she turns to the press to help her save David's life. Written under the pen name "S. M. Hausen", this book is based on the true battle Sheri fought and won. The story was eventually broadcast on ABC's 20/20 program, hosted by Sam Donaldson, who went on record verifying the truth ABC uncovered in its investigation.